Today Mary Kay released the results of its sixth annual Truth About Abuse survey which reveals that while Americans’ awareness of domestic violence is on the rise, the full signs of abuse go unrecognized. The survey also reveals Americans believe increased education on healthy relationships can make a difference and millennials show confidence that the U.S. can end domestic abuse for the next generation. DALLAS – Oct. 2, 2015 – Awareness isn’t enough to stop abuse. 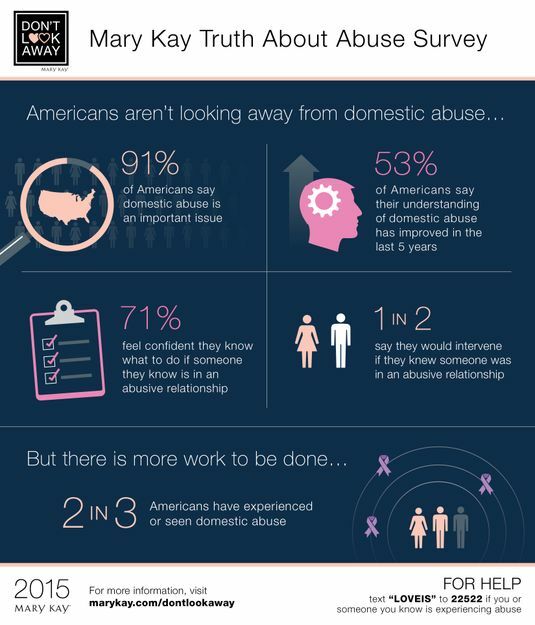 Today Mary Kay released the results of its sixth annual Truth About Abuse survey revealing that Americans’ awareness of domestic violence is on the rise. The survey also reveals Americans believe increased education on healthy relationships can make a difference and millennials show confidence that the U.S. can end domestic abuse for the next generation. 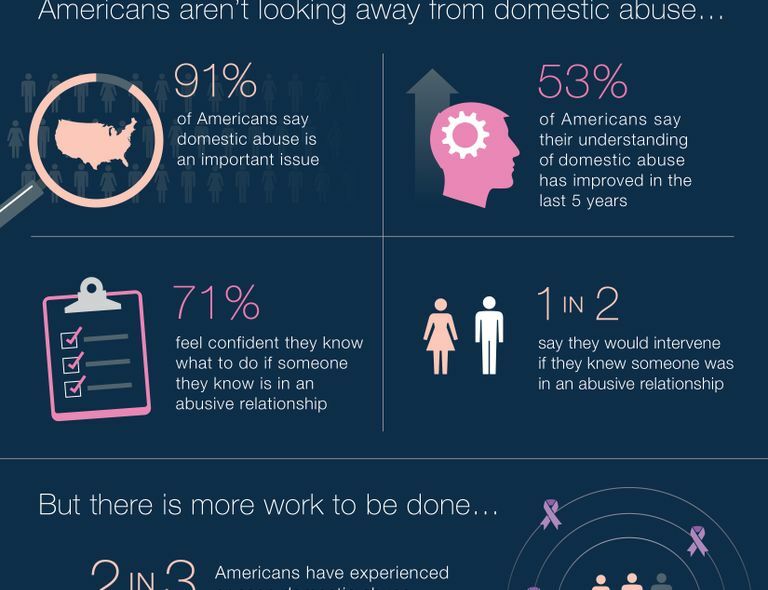 In partnership with loveisrespect, the 2015 Mary Kay Truth About Abuse Survey aims to explore how Americans’ understanding of domestic violence is changing, and gauge attitudes with respect to this evolving issue. One thousand men and women nationwide participated in the online survey Sept. 3-11, 2015, sharing their insights and stories on the issue of domestic violence. 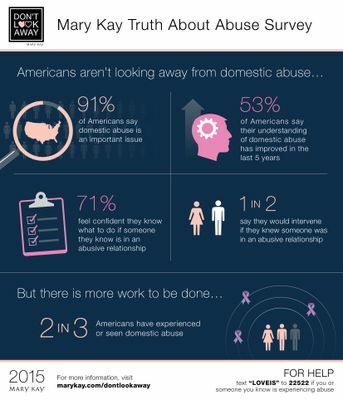 The 2015 survey is part of Mary Kay’s “Don’t Look Away” campaign which works to educate the public on recognizing the signs of an abusive relationship, how to take action and to raise awareness for support services. To date, Mary Kay Inc. and The Mary Kay FoundationSM have given $50 million to domestic violence prevention and awareness programs in an effort to end the cycle of abuse. Mary Kay is also the lead sponsor of the nation’s first-ever text-based helpline operated by loveisrespect. By simply texting ‘loveis’ to 22522, teens and young adults are safely and discretely connected to trained peer advocates who provide support, safety tips and referrals for their own relationships or a friend’s.